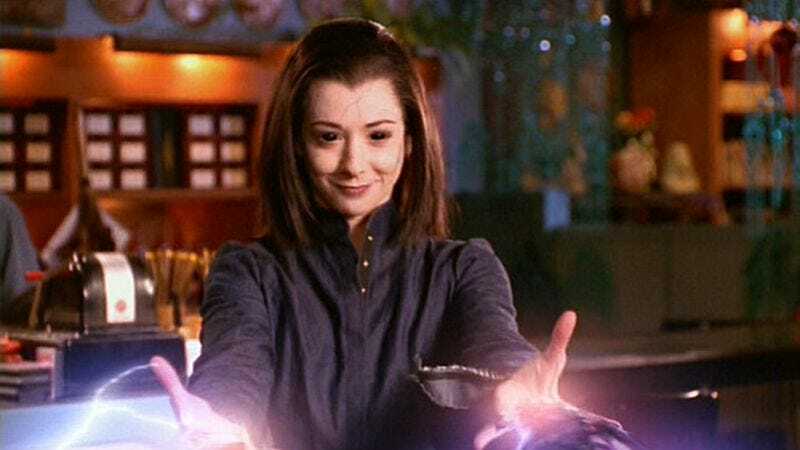 Alyson Hannigan—who spent several years teaching us that magic involves furrowed brows, glowing sparkles, and ham-fisted addiction metaphors on Buffy The Vampire Slayer—has signed on to host an ongoing magic-based reality show. Hannigan will be joining the cast of Penn & Teller: Fool Us when it comes back for its third season this summer, replacing British TV presenter Jonathan Ross. The series centers on the Vegas-based magical duo, who challenge up-and-comers to present a trick whose workings contestants try to conceal from the veteran prestidigitators. Those who manage to stump Penn & Teller are given the chance to open for the pair at their Las Vegas theater, as well as (we assume) a lifetime supply of sequins and capes. Fool Us will be Hannigan’s first regular role since How I Met Your Mother went off the air in 2014. Penn Jilette was effusive in his praise for the incoming host, calling her “talented, smart and funny.” His partner Teller, however, was far less talkative about the change in personnel; hopefully, his reticence to comment isn’t a sign of looming trouble.